This is a near-commercial grade Super Wave Scoop Slide. The ultimate in wave slides, will be the new favorite piece of swing set equipment. Everyone around the neighborhood will want to ride on this fantastic slide. 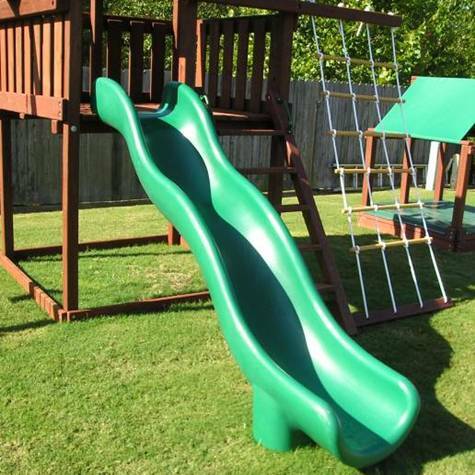 Enjoy a park like sliding action in the safety and security of your own back yard! Your kids may forget about the video games or tablets and enjoy this outdoor slide for countless hours of fun in the sun! Undulating Wave pattern provides a variable accelerated gliding action. This is a near-commercial grade Super Wave Scoop Slide. It features a scoop design and a wider solid base. Easily installed on your Wooden Swing Set or Fort. 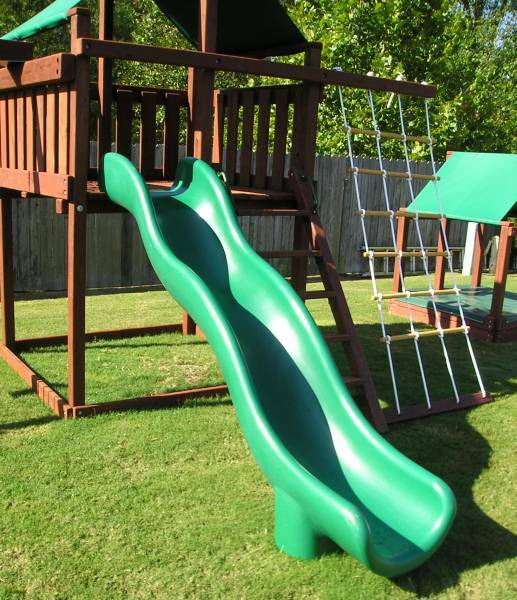 The slide is designed for a 5 foot deck height and is about 10ft long. Available in yellow, green, or blue.